Should You Rent A Car On Your Hawaiian Vacation? Visitors arriving on Oahu and staying in Waikiki are often surprised to find what a ‘big city’ it is with tall skyscrapers mixed in among the palm trees and the white sand beaches. The other Hawaiian Islands are not quite as developed as the island of Oahu but having a rental car on any of the islands will give you the freedom to explore more remote parts of the island where you can experience the incredible beaches and lush tropical sides of Hawaii that you see in magazines, TV and in movies. Most hotels offer parking on premises. Some offer free parking and some charge around $25 per day for a parking pass. Keep in mind your Hawaiian vacation is not the best place to pinch pennies, rather invest your time and money wisely getting the most for your money. When there is a heavy rain that is the perfect opportunity to go site seeing by car to the Windward side of Oahu where waterfalls that are normally dormant are flowing in the crevices of the Ko'olau mountain range! You may need a rental car for a few days but if you plan ahead you won’t necessarily have to spend money renting one for your entire stay. Many attractions and activities on all the islands have shuttle services available to for free or a fee. What we recommend is to review your activity options and create a list of what interests you and fits into your budget. Review your list to determine which activities do NOT include transportation then plan those activities on consecutive days and rent a car only for those activities. Some visitors use the bus to get around Oahu. In our opinion this is NOT a good investment of your time. Although the bus may be a good option for visitors traveling short distances of under 4 miles, like from Waikiki Hotel to Ala Moana Shopping Center or Ward Shops and Theaters, but for sightseeing and traveling farther distances The Bus is a very slow means of transportation. During peak commute times there can be standing room only with everyone all sweaty and packed like sardines. At first visitors think public transportation is a great deal for only $2.75 a ride or $5.50 for a day pass (available from bus drivers) but they end up wasting hours of their precious and limited time in Hawaii getting anywhere outside Honolulu by bus, and suddenly it isn’t such a good value after all. Buses that will take you between Waikiki Kalakaua bus stops to Ala Moana Shopping Center are 8, 19, 20, 23, 24, 42. The 19, 20, and 42 will continue on past Ala Mona Shopping Center and not very far down Ala Moana Blvd the bus will pass Ward Shops and Movie Theaters with stops available. Both shopping centers have interesting shops and a variety of restaurant options but Ward Shops has our preferred selection of dining. shopping, and entertainment options. Hawaii rental cars are available on all islands but vary in rates. Economy and Compact class cars rent for about $35-$45 per day. More adventurous cars like convertibles and Jeeps rent for about $50-$75 per day. Rates are seasonally affected by holidays and special event demand. Hawaii car rental rates tend to be more expensive outside of Oahu. On Oahu the car for hire optional are available at Honolulu International Airport car rental locations, car rentals in Waikiki, and rental car options at the Ko'olina Resort in Kapolei. For the other Hawaiian islands there are car rental services available at the airports or close by the airport with a free shuttle. 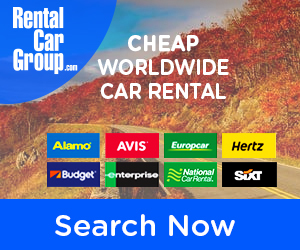 Compare all the different rental car company rates on one site and get the best deal with the Rental Car Group.